After just getting on top my skin problems and finally having clear skin I came down with a horrific cold - when I get ill, my skin suffers and as soon as the cold symptoms are gone, I'm left with the worst skin: dry patches, oily patches, massive pores, huge spots and usually a cold sore thrown in like a cherry on top. 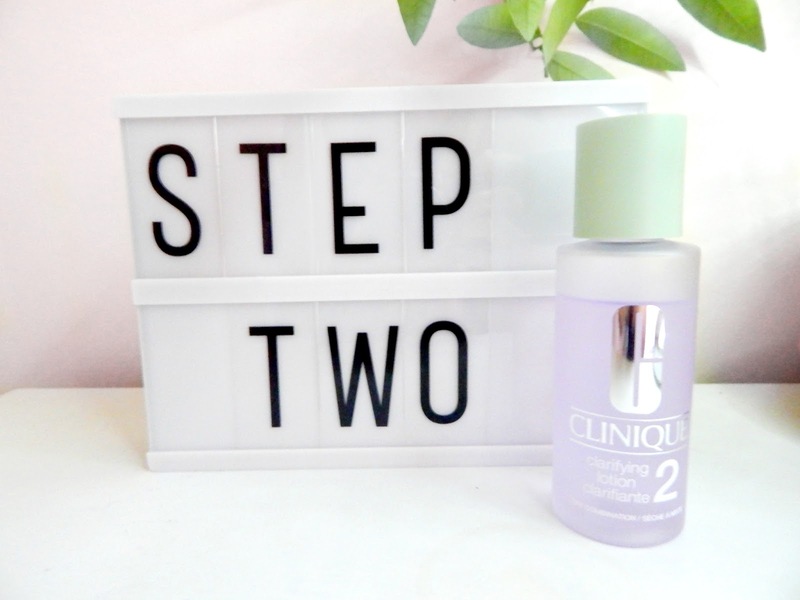 This time, I put a stop to it and remembered the wonders of the Clinique 3-step skin care routine and immediately ordered a miniature set online for next day collection at my local Debenhams. 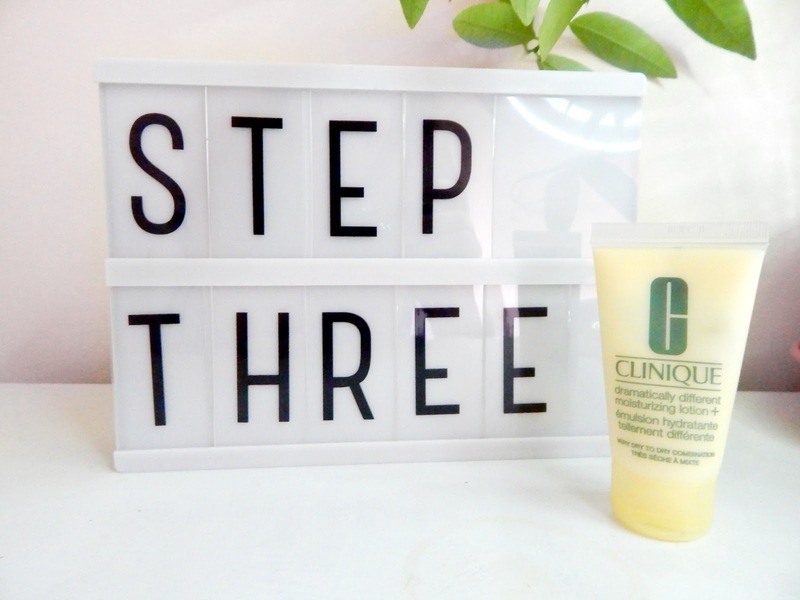 If you haven't guessed already, the Clinique 3-Step (huge hint there) comes with three products to use daily to ensure clear and healthy skin. Clinique offer 7 varieties of sets ranging from very dry skin to oily for men and women. If you're unsure of what your skin would be best suited to you can check out their website and have a little read here or, pop into your local Clinique counter and talk to one of the lovely Clinique people who know all there is to know about skin. From previous experience and thanks to very old friend once sending me this a few years ago when I was having a skin-based breakdown I know that I need the Skin Type 2 regime. "Your skin is tight and uncomfortable in the cheeks, comfortable in the T-Zone"
Step 1: using the liquid facial soap, building up a good lather and massaging into the skin. I love the chemical feel to this soap, it's mild but feels like it's really doing something rather than just sitting on your skin until you rinse it off. It's light and foamy and builds up a great lather meaning a little goes along way. I suffer from really dry skin on the end of my nose and at the sides, this skin can sometimes crack and get very sore but the mildness of this soap mean that I feel like I really clean these areas without upsetting them and having angry sore skin or, breaking out with black heads due to soap-clogged pores. Step 2: Clarifying Lotion, this lotion is more of a cleanser applied in the same way with a cotton pad all over the face this lotion/cleanser adds another element of cleanliness and freshness to my face. Agin, due to my dry skin, I can sometimes find cleansers clog more pores more than cleanse them and, add a sheen of grease to my sometimes oily T-Zone. Step 3: Dramatically Different Moisturizing Lotion+, the final step to the routing and again a light and mild moisturizer that whilst providing effective moisture also leaves my skin feeling light and airy rather than heavy and cloggy. Although the name may sound a little...dramatic, this moisturiser is pretty amazing and FYI, it also works out as a pretty good Primer too. I think the + is the new all-day hydration element with skin-strengthening ingredients. I can safely say that my skin certainly feels moisturised all day and not in a sweaty mess way. I guess the skin strengthening measures are yet to be seen (once I've worked out how to measure the strength of my skin). 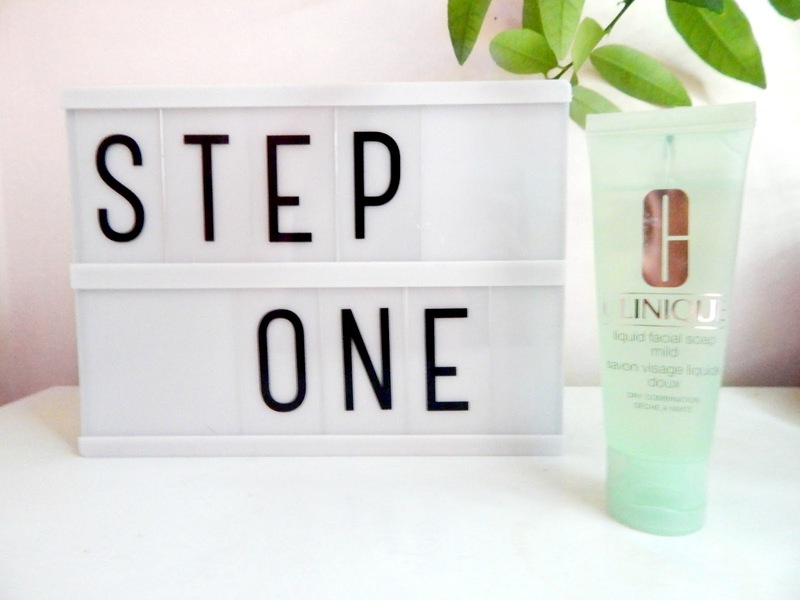 If you're looking for a simple yet effective skin care routine I would highly recommend Clinique 3-Step. 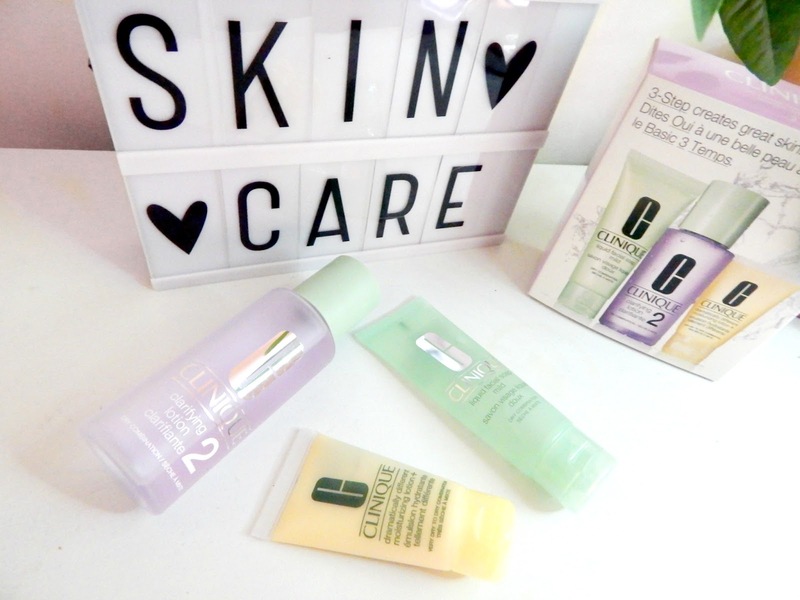 Whilst the cost of the individual products can be a little pricey (we're talking arond £16 - £18) for full-sized; you can get a Inroduction Kits including all three products (50ml soap, 100ml lotion and 50ml moisturizer) for a bargainous £20. 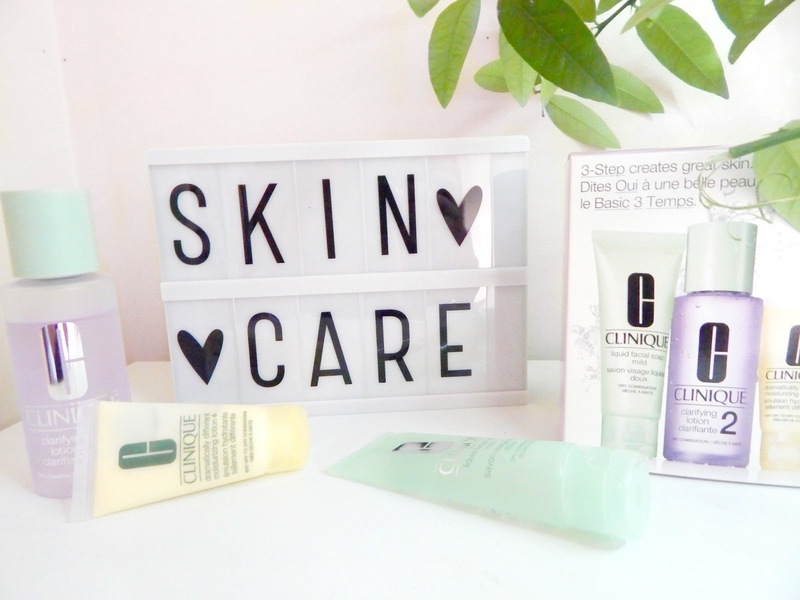 I've found that on average, using twice a day the Introductory set lasts just over a month making the cost more than affordable - but can you really put a price on perfect skin?